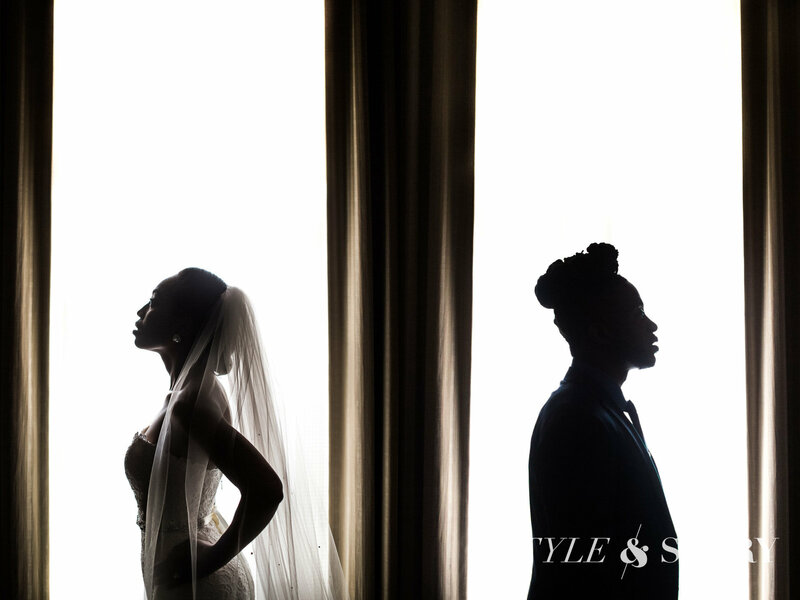 Our extraordinary team of photographers at Style and Story Creative have captured many joyful and unique nuptials that have taken place at the Westin Columbus Downtown. We would love the opportunity to tell your story through our lenses. Also, the following are a few vendors might help you bring the wedding of your dreams to light. Posy Florals limit the number of weddings that they attend to each year. This approach allows them to give every bride the individualized attention that she deserves. They will use your vision to conceptualize the look that will bring your fantasy wedding to life. Offering flowers, vases, candleholders, table numbers, arches, chuppahs, hedge walls and more. Posy will even arrange linen rentals that will be the precise match for your flowers and personal style. Miam Cakes led by the artistic genius of Scarlett Kilzer will create a couture cake that fits perfectly with the theme and design of your wedding. Almaz Faces provides the make-up artistry that will have all of the faces of your wedding party camera ready and picture perfect! Reading through the numbers of five-star reviews on highly respected wedding sites such as theknot.com and WeddingWire.com will tell you everything that you need to know about the beauty of the venue and the top-notch service at the Westin Downtown Columbus. Furthermore, on the Westin's own site you will find even more glowing testimonials, as well as a great list of tips on where and how to get started on your wedding plans. The Westin Downtown Columbus has three primary pricing categories for wedding packages that range from $89 to $109 per guest. These costs cover what has been detailed above, as well as a premium for additions like, Chantilly Coffee Service, additional passed hors-d'oeuvre and dinner selections, late night snacks, colored table linens, and high-end bar selections. You may also arrange to have your ceremony in the Grand Ballroom or in the more intimate Seneca Room for as many as 150 guests. 4200 sq ft of sophisticated and timeless decor accentuated with stunning original stained glass, sumptuous draperies, impeccable lighting, magnificent floor to ceiling mirrors and windows, and Carrera white marble floors. 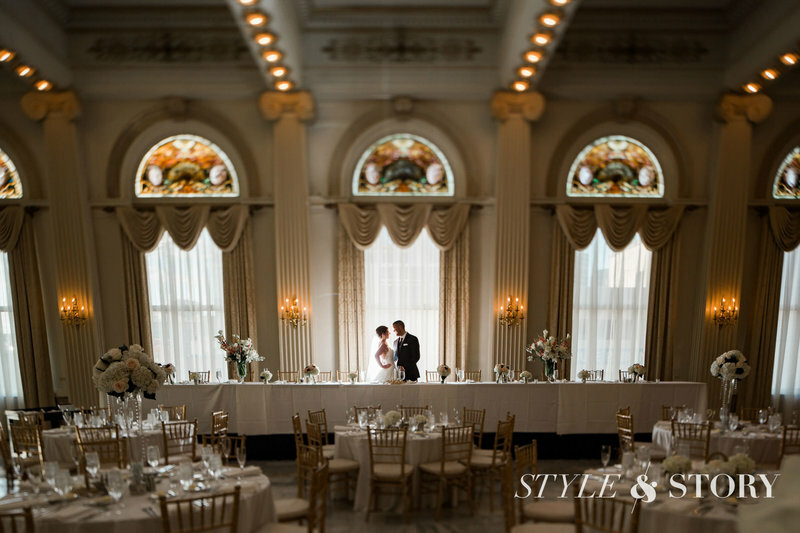 The Grand Ballroom offers the ideal backdrop for an opulent, dreamy affair. Once you have confirmed your date, Westin's professional culinary and event team will guide you expertly through the planning stages of your special day. They will schedule and execute a complimentary entrée tasting, help you plan your decor, put you in touch with preferred vendors and ensure the set-up of the appropriate tables on the day of your wedding. 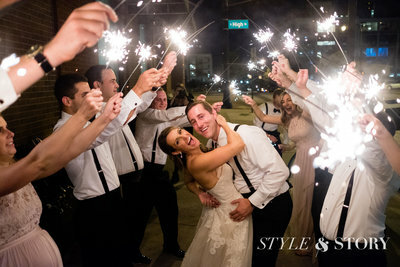 The Westin Downtown Columbus can provide everything that you need for your wedding day in-house. 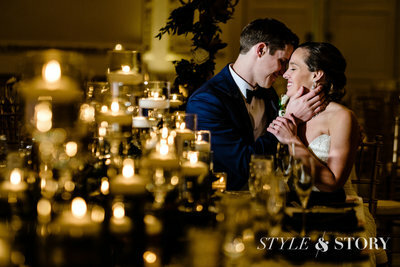 In addition to the ultimate reception, you will also have the option of having a beautiful ceremony in the Grand Ballroom or the more intimate Seneca Room. A Grand Ballroom reception, up to six hours and accommodating as many as 300 guests, you and your guests will indulge in a familiar brands bar, white glove butlered hors-d'oeuvre service, a champagne toast, and a seasonally inspired two-course plated or buffet dinner. After the cake has been cut, the band has packed up, and the last call has been called, you and your new husband or wife can retire to your complimentary wedding night suite. Your family and wedding guests from out of town may also enjoy the advantage of preferred guest room rates for the evening. Since opening its doors in 1897 as The Great Southern Hotel, the Westin Downtown Columbus has gone through a few incarnations. However, renovations in 1996, and as recently as last year, while bringing the grand hotel into the modern era, have preserved the essential elements of original French Renaissance architecture and design. Our reception was at The Wells Barn at Franklin Park Conservatory. I fell in love with the venue the first time I saw it. The feeling was reminiscent of the first time I saw Dan. Cheesy but true, I knew I had to have my reception there. It is a special moment when your work is featured in print. Amy and Samir's wedding was recently published in The Knot: Ohio. 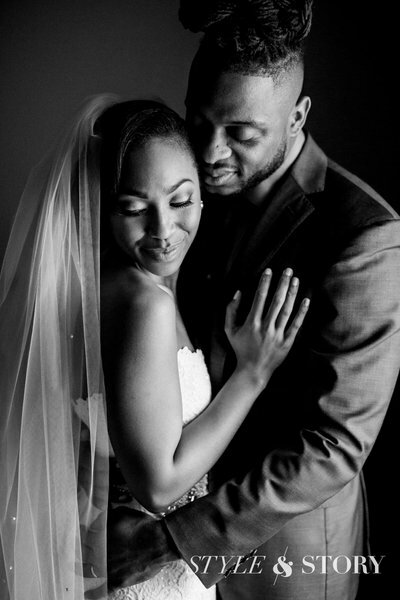 We sat down with the couple to discuss their beautiful day. We got married at The Well's Barn at Franklin Park Conservatory and Botanical Gardens. When we started planning our wedding, we looked at several beautiful venues, but knew the Franklin Park Conservatory was the place for us!